The Douglas AD Skyraider started out as a dive/torpedo bomber design (XBT2D-1) to replace the SB2C Helldiver and TBF/TBM Avenger. While the prototype first flew before the war had ended, it didn't reach fleet service until 1946. Redesignated as AD-1, the Skyraider became a ground attack master with a robust radial engine and armor plating to aid survivability to ground fire. While the AD would fly and fight in the Korean and Vietnam wars, the huge airframe lent itself to a number of special-purpose variants. One such variant was the AD-3W which added two seats inside the fuselage for radar operators and a huge radome under the fuselage to house the AN/APS-20 radar. This early airborne early warning (AEW) version replaced the TBM-3W Avenger that lofted the same radar. When Douglas made incremental improvements to the Skyraider to create the AD-4, another batch of AEW variants were also produced as the AD-4W. The AD-4W was operated by the US Navy, USMC, and the Royal Navy (as Skyraider AEW.1). Here's an ESCI classic that hasn't seen the light of day in nearly 30 years. 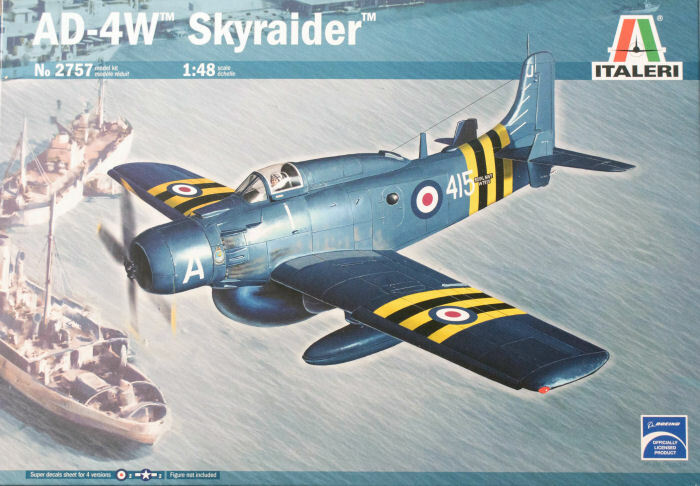 This is 1/48 scale AD-4W Skyraider now being reissued by Italeri. 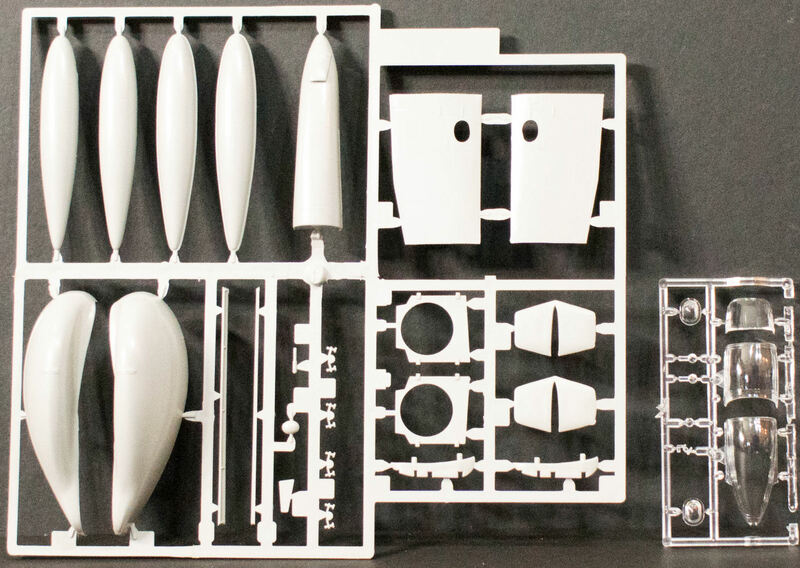 Like many kits in the ESCI line, this is a simple build, but it has a great deal of potential in an experienced modeler's hands. 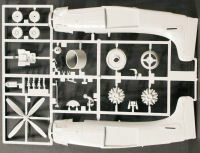 Molded in light gray styrene, this kit is presented on three parts trees plus one tree of clear parts. 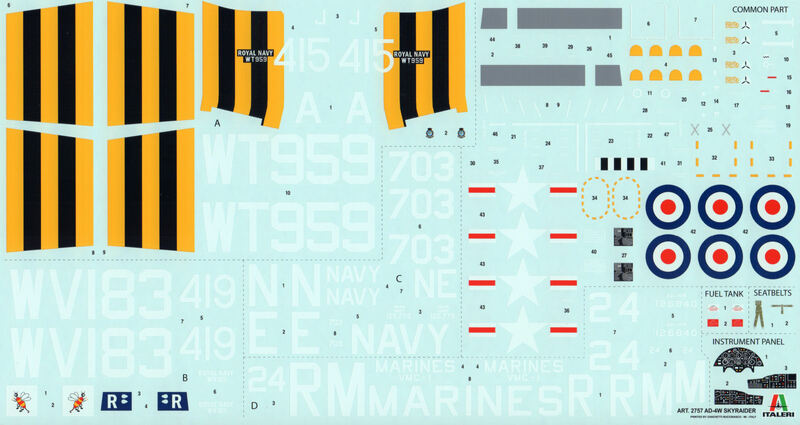 The kit also comes with a large sheet of decals featuring a nice range of subject options. 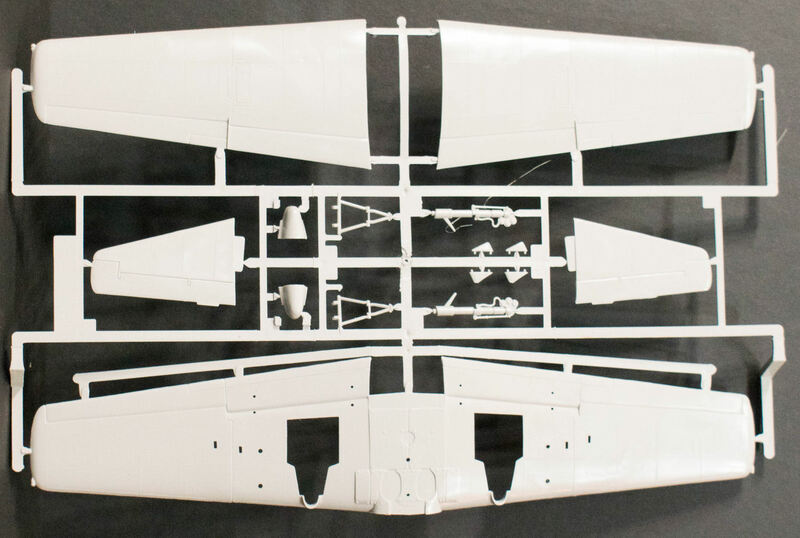 External options with the kit include a pair of external fuel tanks under the wings. I'm happy to see Italeri reissue more of AMT/ERTL's classic kits as this was definitely one of the more unique subjects to be produced. 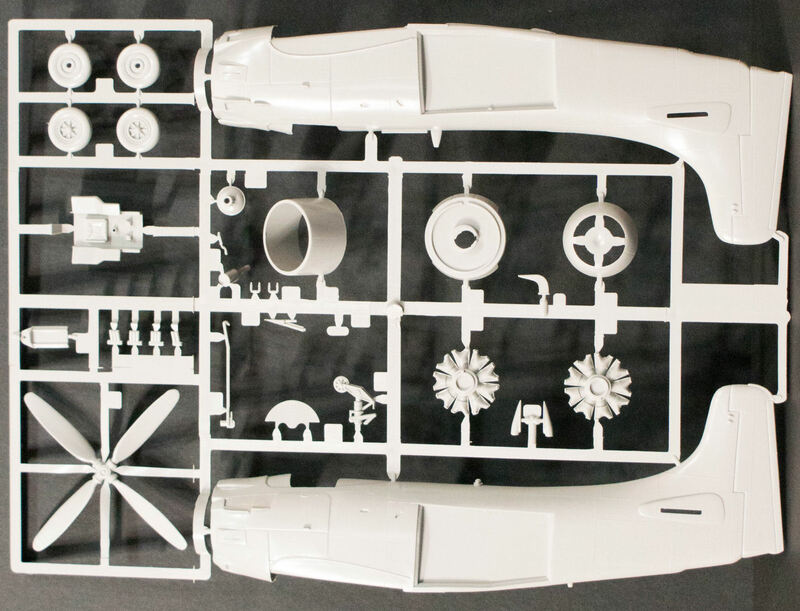 To my knowledge, this is the only kit produced of this subject in any scale (though there has been a conversion or two 'out there'. My sincere thanks to Italeri USA for this review sample!